Manufacturers and importers of hazardous chemicals have until June 1, 2015 to update their labels and material safety data sheets to be in compliance with the Hazard Communication Standard (HCS) final rule promulgated by the Occupational Safety and Health Administration (OSHA). While you�re patiently waiting for manufacturers to conduct the revisions to labels and updating material safety data sheets to reflect the 16-section format required for Safety Data Sheets (SDS), you still have to train your employees in the new label elements and new SDS format. OSHA has put together Quick Cards for sample labels and SDS, explaining the new requirements, but some employees and safety professionals may find it difficult to train employees without real, concrete examples. Many manufacturers and importers may also be moving slowly on their revisions due to the perceived difficulty of completing the revisions. To assist safety professionals and industrial hygienists in their training, here�s some do-it-yourself (DIY) 3-step guidance on preparing your own labels and SDS. Step 1: Review the requirements for SDS and labels. Next, it might be helpful to review Annex 4 of theGlobally Harmonized System for the Classification and Labelling of Chemicals(GHS), Third Revised Edition (2009). Annex 4 is entitled �Guidance on the Preparation of Safety Data Sheets (SDS)� and explains the purpose of each of the 16 sections in detail. Please note that OSHA cannot enforce the content of Sections 12 to 15 of the SDS, as these sections are enforced by other regulatory agencies like the U.S. Environmental Protection Agency (EPA) and U.S. Department of Transportation (DOT) that have not yet adopted GHS. Step 2: Figure out the hazard classification and category of the substance or mixture. This is the hardest part of SDS and label preparation � figuring out how to properly classify the substance or mixture. If you want to read through GHS Part 2: Physical Hazards and Part 3: Health Hazards to get an idea of the complexity of this task, you can, but you may find it overwhelming. You�ll need some knowledge of toxicology and management of hazardous materials to complete this task. If you�re lucky, you�ll find a SDS already prepared by another manufacturer (usually with international capability who already has GHS-compliant SDS) that contains the hazard classification of the substance or mixture. You have to assess if your chemical constitutes a physical hazard, a health hazard, or both. Some examples of physical and health hazards are included below. Physical Hazard: Here�s where the hazardous materials management knowledge will come in handy. You�ll want to find the upper and lower flammable limit/range of your chemical or mixture at standard pressure; understand whether you have a compressed gas, liquefied gas, refrigerated liquefied gas, or dissolved gas; know the flash point for your chemical or mixture; research the burning rate of your flammable solid; research the heat of decomposition; and know the corrosion rate or steel and/or aluminum. Health Hazard: This is where knowledge of toxicology and ability to search various institutional databases will be useful. Acute Toxicity:look up the various lethal doses for each anticipated exposure route (oral, inhalation, dermal, etc.). The LD50 indicates the lethal dose in 50% of test subjects (oral, dermal, and other routes) and the LC50 indicates the lethal concentration in 50% of test subjects (inhalation route). National Institutes of Health ToxNet � Hazardous Substances Data Bank (HSDB): Look up the chemical(s) by Chemical Abstract Service (CAS) number or chemical name. This provides information on human health effects, emergency medical treatment, animal toxicity studies, environmental fate, chemical/physical properties, chemical safety and handling, and occupational exposure standards. Centers for Disease Control and Prevention (CDC), National Institute for Occupational Safety and Health (NIOSH) Pocket Guide to Chemical Hazards: Look up the chemical(s) by CAS number of chemical name. This provides the synonyms and trade names, conversion rates, DOT Emergency Response Guide number, Immediately Dangerous to Life and Health (ILDH) concentration, recommended measurement methods, exposure limits, physical description, exposure routes, symptoms, incompatibilities and reactivities, personal protection, and first aid recommendations. Registry of Toxic Effects of Chemical Substances (RTECS), linked from NIOSH Pocket Guide to Chemical Hazards: This provides skin and eye irritation data, mutation data, reproductive effects, and acute toxicity data. OSHA Occupational Chemical Database: This compiles information from the DOT Emergency Response Guidebook, NIOSH Pocket Guide to Chemical Hazards, and OSHA Chemical Sampling Information webpage. Agency for Toxic Substances and Disease Registry (ATSDR) Toxic Substances Portal: Provides toxicological profiles, public health concerns, and health effects; search by CAS number of chemical name. ATSDR Medical Management Guidelines: Use for basic chemical and exposure information, a summary of potential health effects (acute and chronic), routes of exposure, and incompatibilities. Step 3: Start Writing the SDS. Once you have the hazard classification for each chemical or mixture, the rest of the SDS is mostly data gathering. Include the product identifier (as used on the label), other means of identification, recommended use, supplier�s details, and emergency phone number. Using the hazard classification, go to Annex 3 for the �Codification of Hazard Statements, Codification and Use of Precautionary Statements and Examples of Precautionary Pictograms.� Look through the listed Hazard Statement codes for physical hazards in Table A3.1.1 and it will tell you what hazard statements and pictograms belong on the SDS and label based on the hazard class. There are also tables for the various Precautionary Statements (prevention, response, storage and disposal). Or, to make it simpler, on page 336 of Annex 3, there is a series of tables encompassing much of the rest of the Annex showing the required signal word, hazard statement, symbol, and precautionary statement(s) based on the hazard classification and associated hazard category. It makes Section 2 very simple to accomplish. Pictograms can be downloaded as .JPG files from OSHA here. This should be present on the original material safety data sheet you are converting to SDS format. This information can be obtained from the NIOSH Pocket Guide to Chemical Hazards, DOT Emergency Response Guidebook, ATSDR Medical Management Guidelines, or ToxNet HSDB. Provide first aid measures for each anticipated route of entry (eye contact, skin contact, inhalation or breathing, ingestion or swallowed). For information about the most important symptoms (acute and delayed), and indication of immediate medical attention and special treatment needed, the sources listed above for researching health hazards will be useful. Information from this section can be easily obtained from the NIOSH Pocket Guide to Chemical Hazards and DOT Emergency Response Guidebook, by finding the Guide number that matches the chemical(s) on your SDS and reviewing the emergency response fire information. Make sure to include the ILDH concentration from the NIOSH Pocket Guide to Chemical Hazards, as applicable. Information from this section can be easily obtained from the DOT Emergency Response Guidebook, by finding the Guide number that matches the chemical(s) on your SDS and reviewing the emergency response spill or leak information. The precautions for safe handling and conditions for safe storage, including any incompatibilities, is retrievable from the OSHA Occupational Chemical Database, ToxNet HSDB, and NIOSH Pocket Guide to Chemical Hazards. Make sure to include information on whether a safety eye wash and/or shower is required when using this chemical. This section should also include information if the chemical(s) is a carcinogen, and include engineering controls and personal protective equipment (PPE) for the anticipated routes of entry (eye/face protection, skin protection, respiratory protection). This should be present on the original material safety data sheet you are converting to SDS format. Alternatively, the information on each chemical(s) may be able to be obtained from the ToxNet HSDB and the International Chemical Safety Cards by the CDC. The International Chemical Safety Cards can be searched by CAS number, chemical name, RTECS number, and UN number. Your research using the ToxNet HSDB, OSHA Occupational Chemical Database, and NIOSH Pocket Guide to Chemical Hazards will have identified the stability and reactivity of the chemical(s) you are researching. Your research using the ToxNet HSDB and ATSDR Toxic Substances Portalwill have given you much of this information. Make sure to verify the carcinogenicity from ACGIH, International Agency for Research on Cancer (IARC), EPA Integrated Risk Information System, National Toxicology Program (NTP), and OSHA. These sections are not required by OSHA at this time; you can include the information or state �This section is not required according to 29 CFR 1910.1200(g)(2)� if your SDS is being developed for internal use only. This section can include the date of preparation of the last revision of the SDS, literature references and sources for data used to compile information for the SDS, a key for abbreviations, National Fire Protection Association (NFPA) and Hazardous Materials Information System (HMIS) ratings, and any internal �safety notices� or legalese you�re required to place at the end of every SDS by your corporate counsel. Request that a colleague review the SDS for typos and accuracy. Make sure the hazard statements and precautionary statements are correct for the hazard classification and associated category you have selected for the chemical(s) on the SDS. Double check CAS numbers and chemical concentrations. Once the SDS revision is complete, if you have a need for facility-specific labels, this is a simple process. All the information you need for the label can be copy/pasted from the SDS to the label. 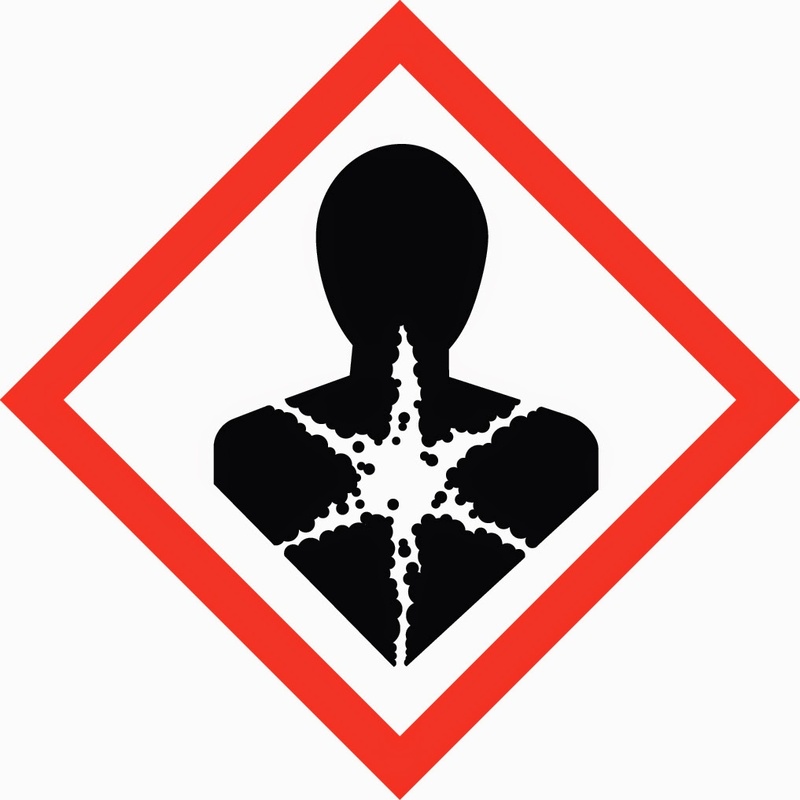 The pictograms can be downloaded from OSHA�s Hazard Communication website for use in container labels. You�ll be surprised how much you�ll learn when completing the SDS revision.